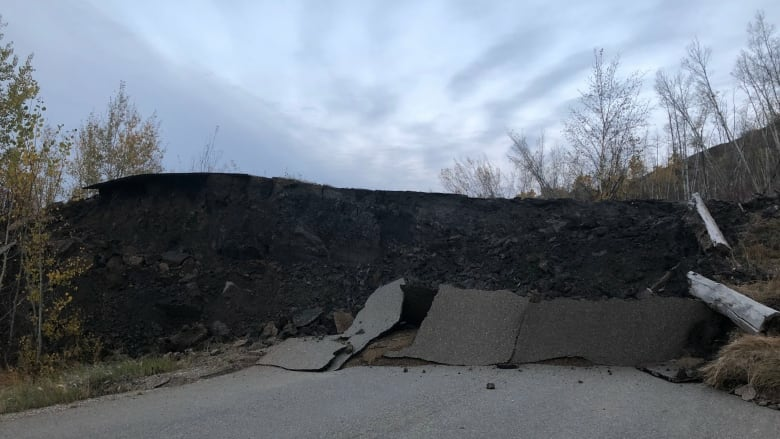 The Peace River Regional District tells residents of the Old Fort, B.C., that it will be enforcing an evacuation order put in place because of a slow-moving landslide. The Peace River Regional District is warning residents of Old Fort, B.C. that it will be enforcing an evacuation order introduced because of a slow-moving landslide. A release said the district "will not tolerate entry into the evacuation order area effective October 12, 2018 at 6:00 AM." People who defy the order could be fined up to $10,000, or face jail time. The release said the extra measures are being put in place because of additional cracking and movement on the slide. Around 200 residents of the community have been forced from their homes, since the landslide damaged the only road that provides access to the community on Sept. 30. Since then, the slide has continued to slowly creep forward every day and continues to move. Earlier this week residents were told that they could be away from their homes for months — and possibly until next summer. A number of residents defied evacuation orders to retrieve belongings. B.C. 's Minister of Public Safety Mike Farnworth toured the slide site and urged residents to obey the evacuation order. "There may be those that think they know what's best," he said at a public meeting on Wednesday. "Let me be clear, the regional district does not put in place an evacuation order for the sake of putting in place an evacuation order."